This particular review will be the thirtieth and last before I go on the indefinite break from reviewing books that I had mentioned once before. That is thirty books reviewed in 15 months since I started blogging, which I think is a pretty decent pace, all told. As I look over past reviews, from Salman Rushdie’s Shame to Ravi Bedi’s Perfect / Imperfect, I notice the change in the way I approach the books. While the earliest one – this review of Wuthering Heights – is a glorious, rambling traipse over the moors of Yorkshire with the protagonists, and this one of Dombey and Son is essentially an impassioned plea to readers to discover Dickens, for the most part I had started writing reviews around a definite structure, making them, perhaps, overly impersonal. It was convenient, it looked professional and authors seemed to like it. But if this is to be my last review, let me revisit that format-less review format of former days and see what the Cat in my mind brings in and chucks on the living-room carpet this time. Social Media sounds like a pretty nice thing. You know, its social, and you don’t actually have to socialise with real people, so that’s a combination that’s hard to beat. Which was why I got onto the bandwagon a little over a year ago, and over the course of time, accumulated a friend list (Facebook’s words, not mine) of people who had names, sometimes had photos, and with a few exceptions, gave precisely zero fucks about anything I posted. Recently, their ghostly presence became a little too much to bear without worrying for my future spiritual health, and I systematically un-friended anyone who had not interacted with me for as long as I could remember (a dodgy criteria given my notoriously woolly memory goes back two weeks at best). This is how I felt after. I wanted to ask this, because I believed critique cannot exist in a vacuum. It must be a function of the writer’s intent. For instance, it would be silly to criticise “Yeh dil maange more” for being neither here nor there as far as language is concerned when it did such a beautiful job of communicating exactly what it meant to. For a more down-to-earth example, critiquing the literary merit of an epistle of love is thoroughly pointless – if the intended recipient is favourably disposed towards you, the content does not matter, if he or she is not, it matters even less. Is that a split infinitive? Definitely not marrying THIS guy! But of course, it was not love letters that my ghostly friends wanted me to look at (at least, not always). More often they were stories or novel excerpts, and this is where things get a little complicated. After all, if someone is writing about a deeply personal experience, is it right of me to point out that her use of language is so terrible it makes what should be a touching story into a cringe-inducing one? If the young aspiring author aims only to write a national bestseller and has no interest in actually learning the craft, who am I to tell him his story is trite, his language carries on a dangerous flirtation with incomprehensibility and his characters have less life than the mouse my cat killed two days ago. And the craft itself – how important is it, really, in the broader context? But why this lengthy ramble at the beginning of a review of a book? Well, because When Life Turns Turtle is not a thriller, or a comedy, or a fantasy, or a romance. No, it’s a book that uses the framework of a novel as a coat-hanger on which to drape a decidedly philosophical treatise. Now expounding a philosophy through a novel is neither unprecedented nor undesirable. Many books propound a philosophy in subtle or unsubtle ways. Anna Karenina is as much about the feudal system in Tsarist Russia as about the title character. Nearly all Gorky’s work is deeply rooted in the revolutionary fervour of the Communist movement. 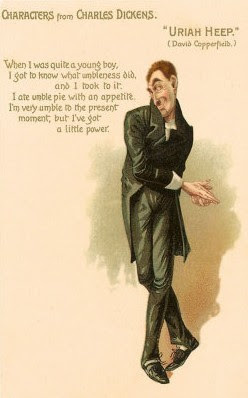 But even less obvious examples, like the works of Dickens, Hugo and even Tolkein, have deep ideological underpinnings that are easy to spot if you know what to look for. When Life Turns Turtle is more overt in its use of the philosophical lesson as a plot device – in fact here it is more than a plot device, it is the raison d’être of the story itself. Two other books I read and reviewed recently followed a similar pattern – Child / God by Ketan Bhagat and Rain by Shriram Subramanian. In both these novels, as in When Life Turns Turtle, the protagonist is a worldly, mostly sceptical young man who is driven to an epiphany by a life event that changes his outlook significantly and leads to character development. But where Mr. Bhagat and Mr. Subramanian were very clear in their desire to first tell a story, Mr. Supe uses the plot as a framing device for his philosophy. As a reviewer, am I obliged to assess this work as a Spiritual treatise, or as a novel? Is it ‘Autobiography of a Yogi’ or is it ‘Life of Pi’? 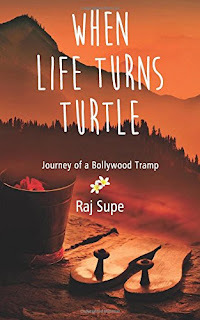 When Life Turns Turtle is the story of protagonist Indraneel Barua, a successful Bollywood director whose abrupt break-up with an upcoming actress named Avani leads him to devolve into depression before his friend Arunodaya recommends that he visit Rishikesh, by the banks of the Ganga, for a short break. 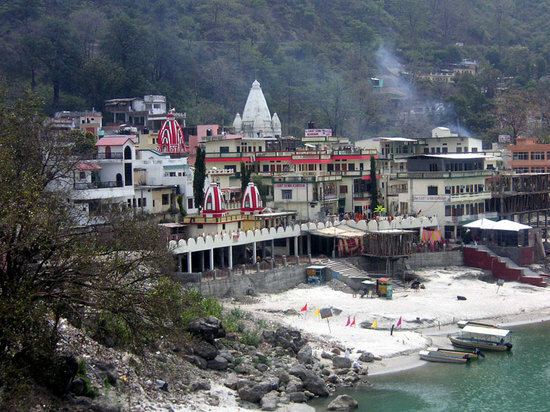 Indraneel’s short break becomes a year-long journey, both physical and spiritual, through Rishikesh and its environs, through Navratri and Diwali, the Kumbh Mela and Indraneel’s own ascent on the path of the ascetic. 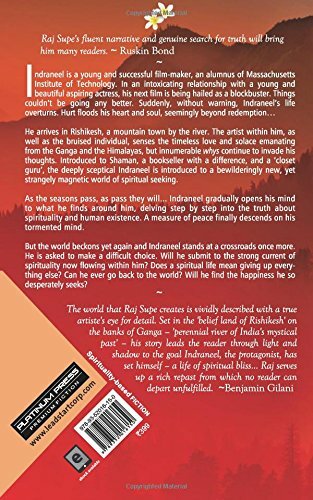 Guiding him through this is the closet-guru bookseller Shaman and a host of minor characters from all around the world, including Arunodaya’s sister Vasundhara, who have come to Rishikesh and found in that temple town the solace they sought. Finally, Indraneel confronts the fury of nature itself during the floods that devastated Uttarakhand. It is quite possible that the book, and the events laid out therein are closely based on the personal life experiences of the author. Obviously, these experiences and the conclusions and learning that the author has drawn from them are not only a matter of deep and valid personal conviction, but such as he is absolutely entitled to have and propagate. The job of the literary reviewer, alas, is to try and sit in judgement from a rather more mundane viewpoint. At the core of When Life Turns Turtle is the ascetic philosophy and a belief in Hindu scriptures. In speaking of whether the book is effective in propagating this, the question to be answered is similar to the one that Wolf Blitzer called the most critical takeaway from the post-debate polling earlier today – does it change the views of an undecided voter? Or in this case, the reader? By and large, this is a book that preaches to the choir. For those who are already infused with the faith, or receptive to it, no doubt When Life Turns Turtle is a re-affirmation of beliefs. The principles and merits of the practices and doctrines that the author believes in are presented as articles of faith rather than as points of debate on which an effort is made towards conviction. In bringing out the ideology in lucid terms without being overbearing or threatening, the author certainly does a good job. But in not holding them up for critical evaluation, the propagation of the faith remains confined, as I said, to those who already believe. In one scene, for example, an exchange between Shaman and the French writer Pierre brings up the contradiction between the apparent wealth of some gurus and their preaching of sacrifice; this is a thread that is never resolved. To the faithful, perhaps, the answer is already known, but as the reader of a book, it remains an unresolved conflict. Even seen as a philosophical difference, the concepts are not fleshed out enough for the reader to come to a conclusion. At other places, stories from the Hindu canon are presented, usually narrated by Shaman, and we are told of their impact on Indraneel, who has goosebumps or cries. As a reader, I do think one would rather experience that than be told someone else has, but the narration itself lacks that power. Too much is lamp-shaded using ‘cosmic energies’ as an explanation, which is why it is unlikely to make great strides with anyone who associates those with the Fantastic Four rather than spiritual awakening. Unlike the other books I mentioned, which follow a more linear structure, When Life Turns Turtle goes back and forth in time, giving us tidbits from Indraneel’s past life as a worldly Bollywood dasher side-by-side with his coming to terms with his loss of Avani as he settles to life in Rishikesh. He is already receptive to the mysticism practised by Shaman and a willing initiate into the higher echelons of the faith. The latter half of the novel follows his personal development as an individual, moving away from the worldly bonds of wealth and desire. A lot of this journey is, however, communicated through Word of God. In other words, there’s a lot of ‘tell’. Not that there is no ‘show’. In fact, the author is at his best when describing, with the energised pen of a true devotee, the beauty of the Ganga river, the temples and forests around Rishikesh and the crescendo of faith at the Kumbh Mela in Varanasi. Little details, detailed descriptions, descriptive narrations of events, all give the book the ring of authenticity that does make it stand out from the crowd. In terms of creating a powerful narrative or emotional highs and lows, though, the icing on the cake for the reader looking for the words to dance, to play, to leave a lasting impression, I found only the chapters dealing with the tempestuous floods really approached those heights. For a story to truly resonate, the characters need to stand on their own, independent of their ideology or heroism. 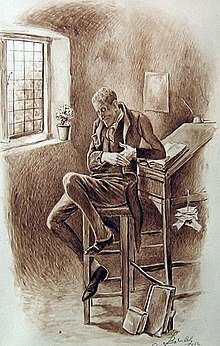 Uriah Heep might be disgusting, but I challenge anyone who has read David Copperfield not to have a mental image of him rubbing his hands together in their minds for long after. Yossarian from Catch-22 is no dashing military hero, but Heller makes his situation so affecting that by the end, we are ready to get on that boat with him and paddle into the Mediterranean. Shalimar the Clown is a deadly terrorist, not because we are told he is, but because we know what led him to become one. Why, even Taxi Driver’s Travis Bickle is so memorable as much for what he does as for how brilliantly Scorsese uses camera and light to show his eyes, his loneliness, the sheer blankness of his existence. It's been many, many years since I read DC. Still did not have to refer to remember Mr. Heep's hand-rubbing routine. At the end of When Life Turns Turtle, Indraneel has changed significantly as a person, but we the readers have seen his transformation in an impersonal, bystander-ish way, nodding occasionally when something struck us as familiar, but otherwise finding little to move us to want to walk in his footsteps. Does Indraneel smoke? Did he quit for Avani? Did he continue until well past his spiritual awakening? When did he become a vegetarian – when he did not eat a brown-dotted Mars bar, or later? How old is Avani, if he found Vasundhara too young to be pursued romantically – after all, the latter is 27, and the former, if she’s young enough to be a complete newcomer to Bollywood, must be even younger. Why was she not too young, then? Why is dosa described as a lentil curry? Why is there such extensive name-dropping of brands scattered throughout the tale? Are these questions valid for a book that isn’t really trying to tell a story? Am I holding it to literary standards that I should reserve for those who do strive to tell stories? 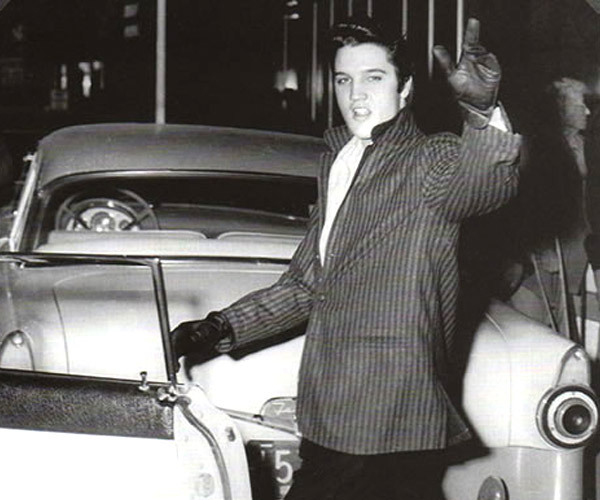 Elvis. Has Left. The Building. Even though I haven't read the book itself (the blurb put me off), this has to be one of the most honest reviews that I have come across recently. People do tend to either pander too much to the writer by glossing over the obvious flaws, or try to tear him/her down viciously with scathing, acerbic comments in an attempt to appear more knowledgeable. 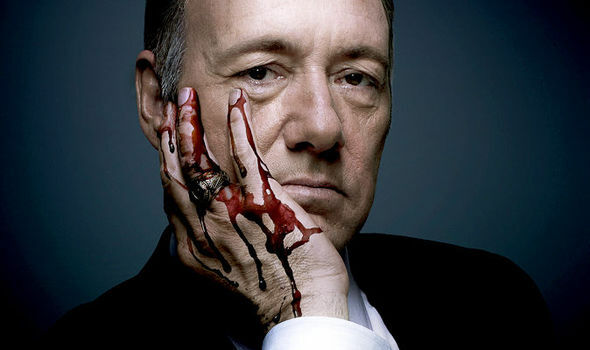 The review appreciates what the writer does well, but is justly critical of its flaws as well. The smattering of dry humour throughout makes the review a wonderful read, as does the literary discourse in the beginning. Top stuff, this! Kudos! I have always admired your reviewing skills Percy. This one is again as always fair to the writer and the reader.